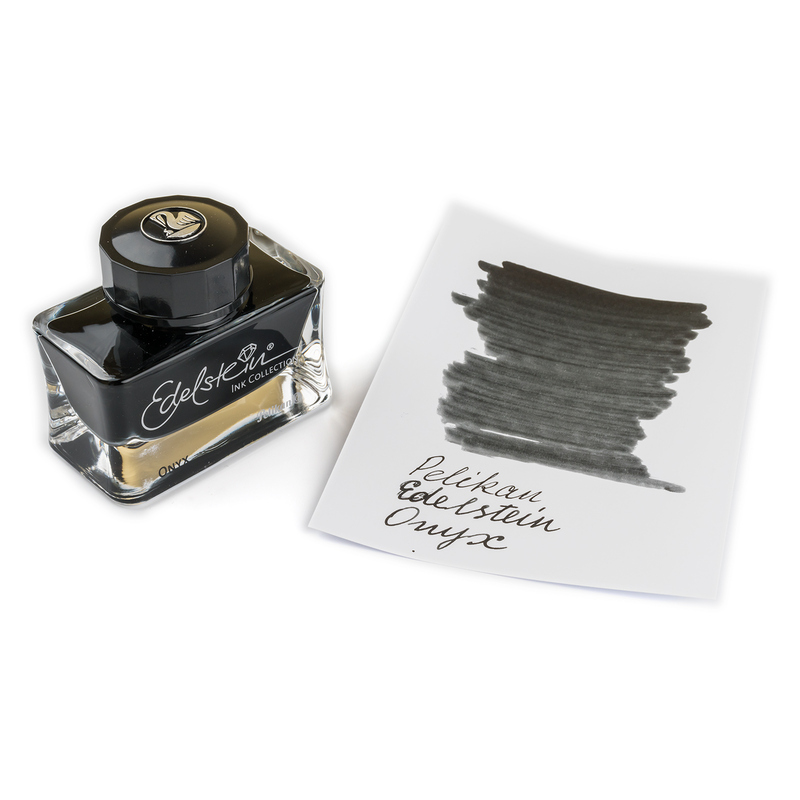 Weight: 151 grams, shipping calculated at checkout (more details). 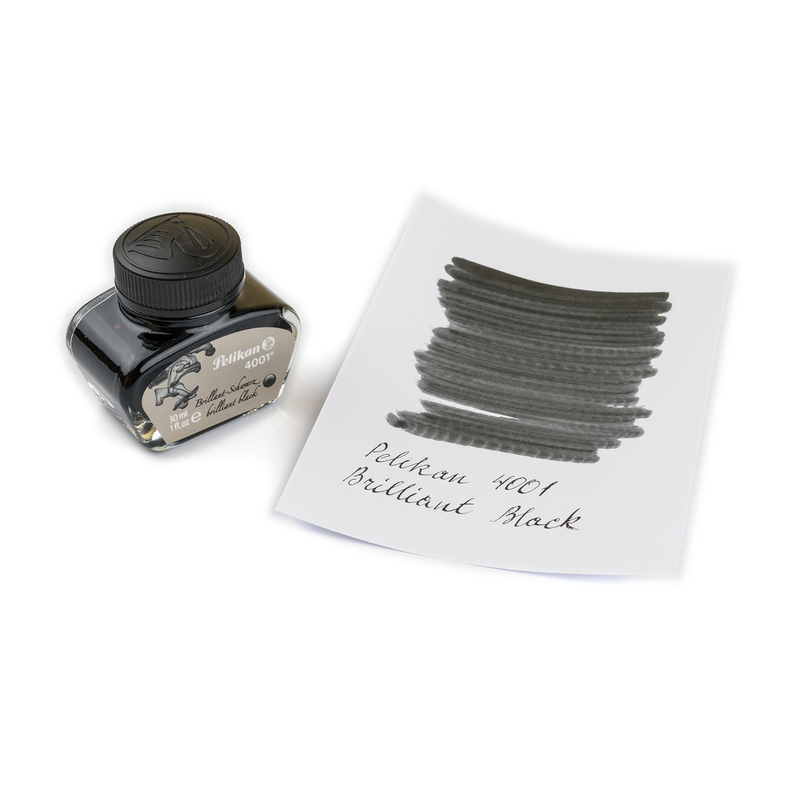 Pelikan 4001 Brilliant Black is a reliable black ink with a decent level of water-resistance. 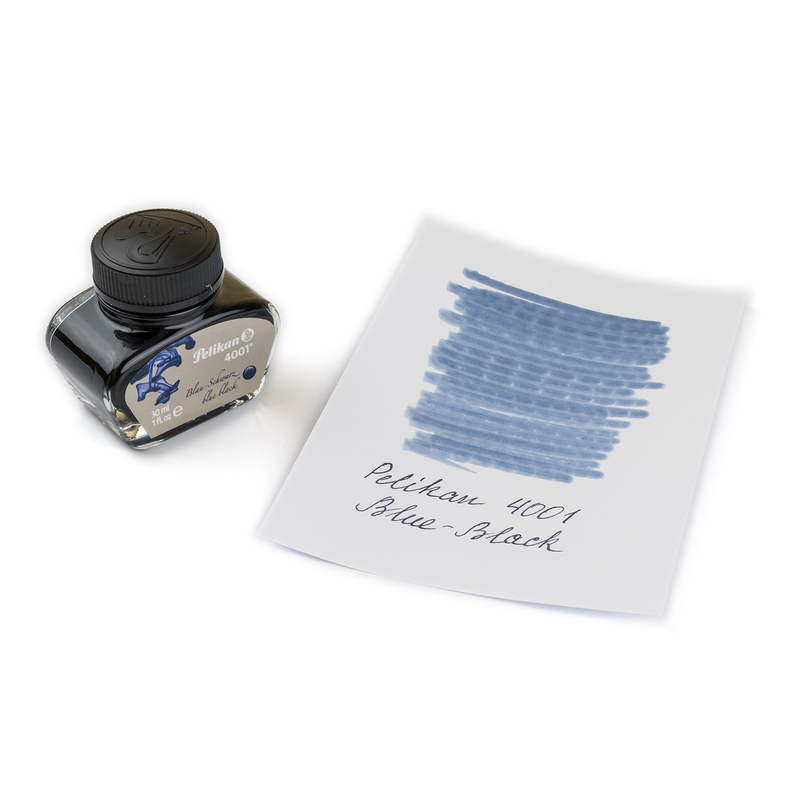 Works perfectly in every fountain pen. 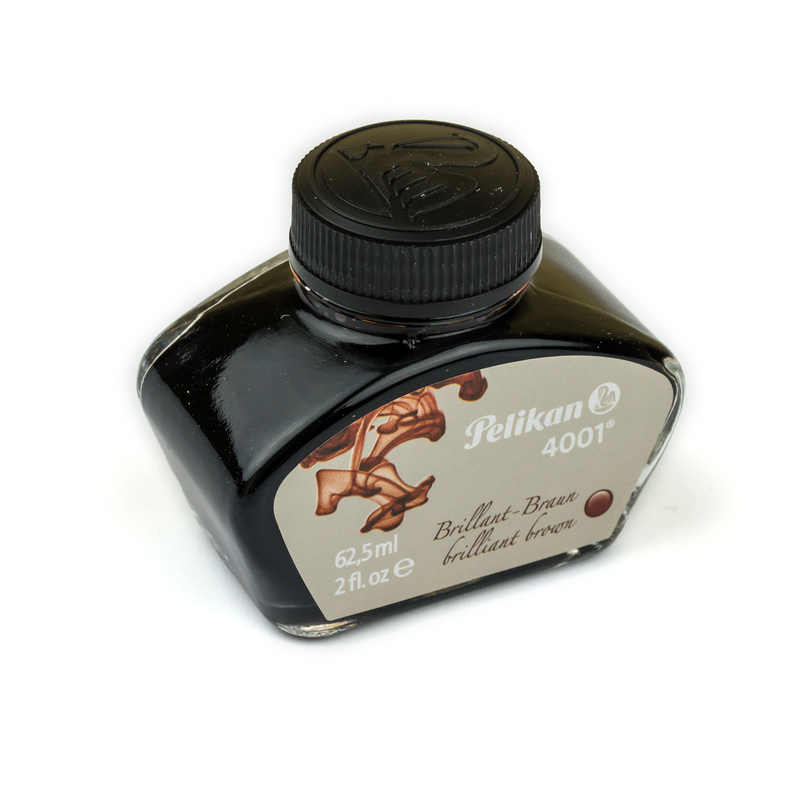 Safe for vintage and rare pens. 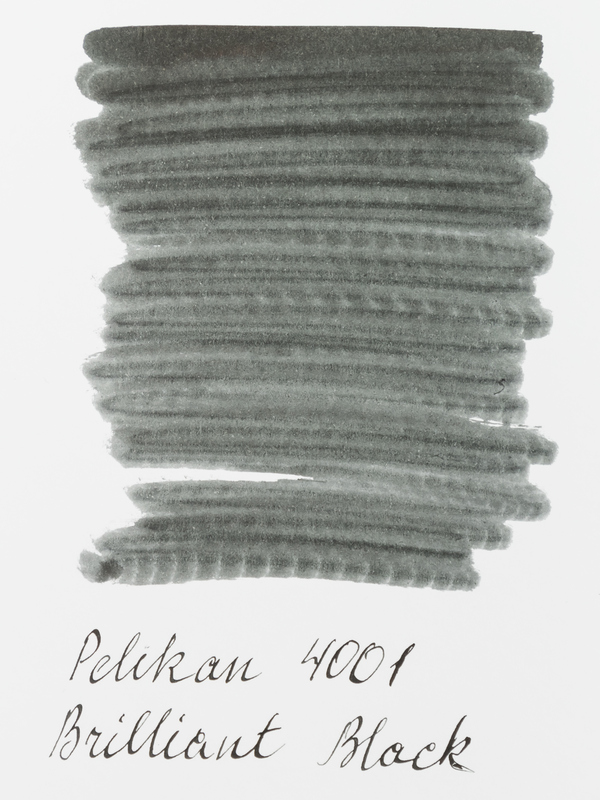 4001 Brilliant Black is well known among enthusiasts for its outstanding performance on cheap and low-quality paper.